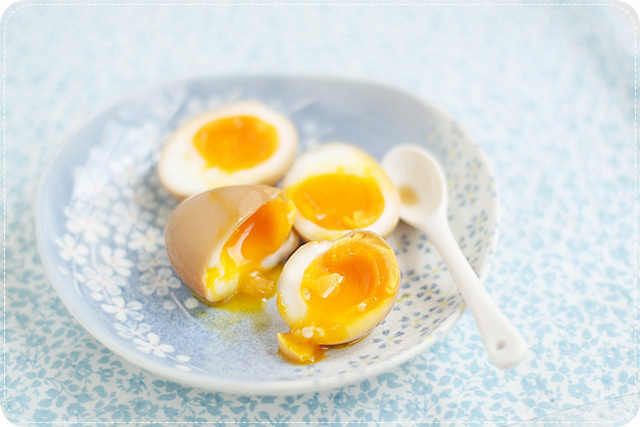 ajitsuke tamago, ni-tamago or known to some simply as molten/lava egg, is a japanese flavored soft boiled egg commonly used as a topping for ramen or pork belly rice. 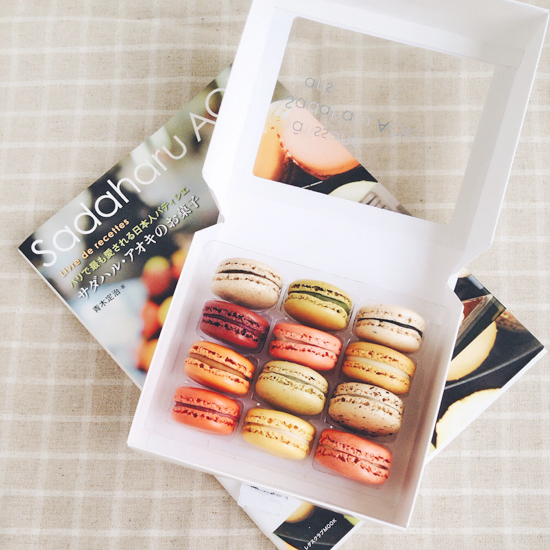 i think this type of egg has been the fascination of many people, including myself coz of the texture and supposed difficulty in making, not unlike macarons. 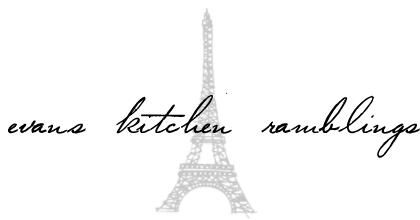 i've heard stories of how the people working in ramen shops would be unwilling to disclose their secrets or techniques, much to the frustration of those who asked. some even went to the extent of experimenting with a malt vinegar bath to soften the shells so they would be easier to peel. and if i'm not wrong, the high-end ramen shops like ippudo ramen charge $2 for an egg which is just ridiculous if you ask me! i just found out how simple it is to make them, thanks to a japanese youtube video i saw. the eggs are flavored in a soy marinade typically made of soy sauce, water, ginger and sugar/mirin then served cold. i used a ratio of 2 parts water to 1 part soy sauce which i still find it too salty for my liking so i think 3 parts water would be good. 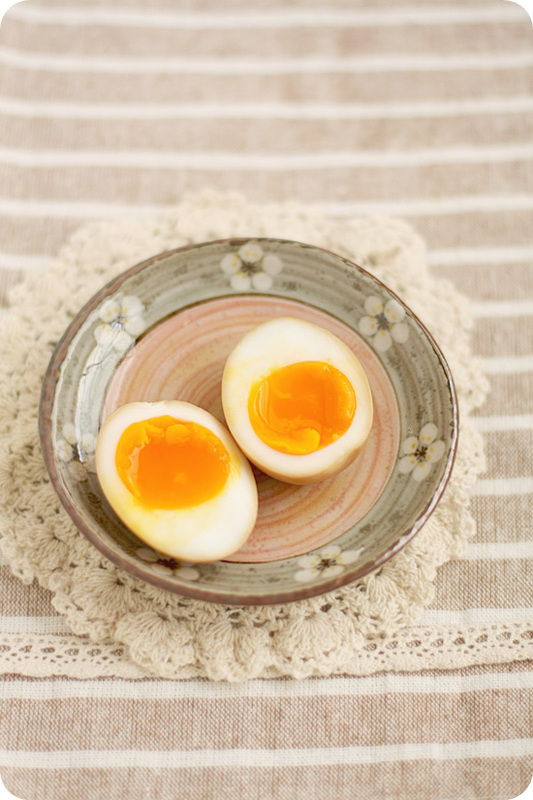 i also found out that onsen tamago (hotspring egg) is another kind of soft boiled egg so i guess there are typically two kinds of soft boiled eggs in japan. perhaps it would be more appropriate to call this hard boiled egg with soft center? these were cooked perfectly and the yolks were runny in the middle and slightly firm around the edges. basically i cooked them for 6 mins on barely simmering water then shocked them in ice water to stop them from cooking further. they should be easy to peel after that. i also recommend using older eggs so they're easier to peel. the video below makes it look really easy and its really pretty simple, so do try it yourself if you've been wanting to make these, just like me. now that i've mastered these eggs, i should make my own ramen broth someday. i have bookmarked the recipe from david chang's momofuku cookbook, can't wait to try that out. 1. bring the pot of water to a bare simmer. add in eggs and boil for 6 mins. immediately shock them into the bowl of icy water to prevent the eggs from cooking further. leave them in the iced water for 5 mins then peel. 2. combine the soy sauce, water, ginger & sugar and mix well to combine. 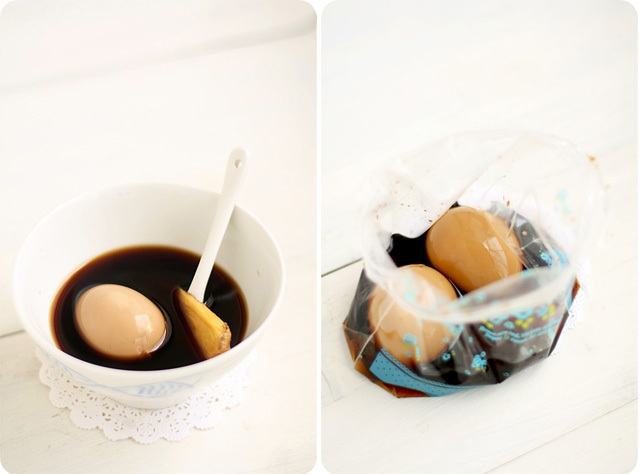 pour marinade into a ziplock bag and place the eggs inside to marinate for 1-3 hrs in the fridge. do not soak them for too long as the whites will turn rubbery. serve cold.